Upgrading your subscription couldn't be any simpler. This article will walk you through the process of upgrading your Individual or Family plan. 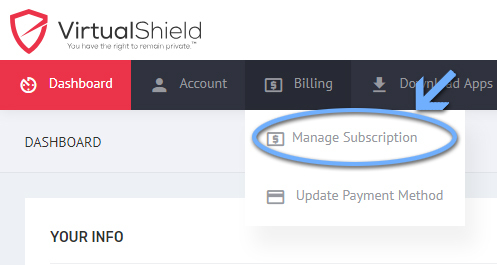 Hover your mouse cursor over the Billing tab in the menu, then select Manage Subscription. 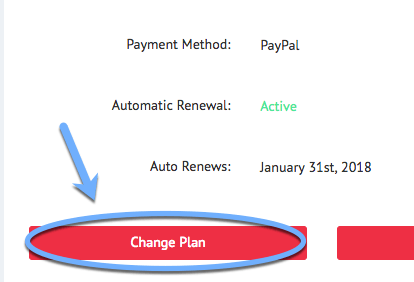 Finally, click/tap on the Change Plan button to update your details. You can now select your new desired plans and/or add-ons and complete the checkout process from this page. Notes: If you are looking to upgrade your subscription, the upgrade will take place immediately and the amount due will be prorated. If you are looking to downgrade your subscription, the new plan will kick into effect after your current term is over. How do I cancel my account so I don't get billed? How do I disable/enable Auto Renewal?